Mitsubishi released an official shot of its next-generation Outlander, which the company will launch at the Tokyo motor show in October. 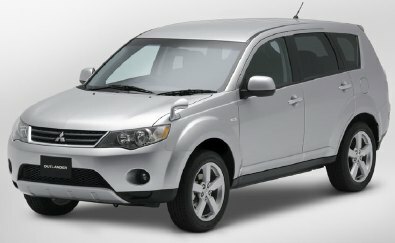 While the US model will make its debut late next year, the Japanese Outlander goes on sale next month, as a badge replacement for the Airtrek. The new O-lander is larger than the current model, with an all-important third row of seats and 3.0-liter 250hp V6 as options. Japan's model will, of course, have right-hand drive and that weird extra side-view mirror tacked on.